Ciocca Ford of Souderton is proud to be your preferred Lansdale, Harleysville & Perkasie area new Ford dealership & used car dealer in Souderton, PA! At Ciocca Ford of Souderton it's always our goal to exceed your expectations, and leave you confident that you're choosing the right Ford dealer to meet your needs. For your convenience, please browse our online inventory of New Ford Vehicles, New Ford Lease Deals, as well as our selection of Used Cars, Trucks & SUVs in Souderton. We also provide Ford Financing options, Certified Ford Auto Service, a wide selection of genuine Ford Auto Parts & Ford Accessories. 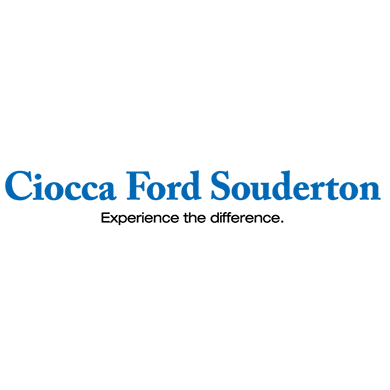 Visit Ciocca Ford of Souderton today and Experience The Difference!